Carl Lobe Park | Discovered ... Right Here! 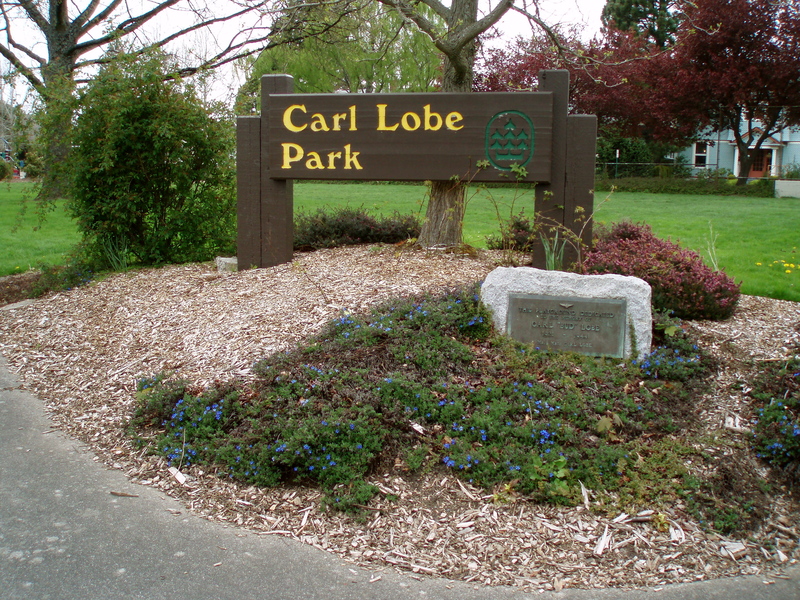 By first impression, Carl Lobe Park seems to exist as just a little neighborhood park in Bellingham, WA. Situated along Eldridge Avenue, on the corner of Victor Street and Eldridge to be precise, its small-scale is undeniably apparent. With a bit of a green area perfect for a pick up game of softball or wuffleball (? 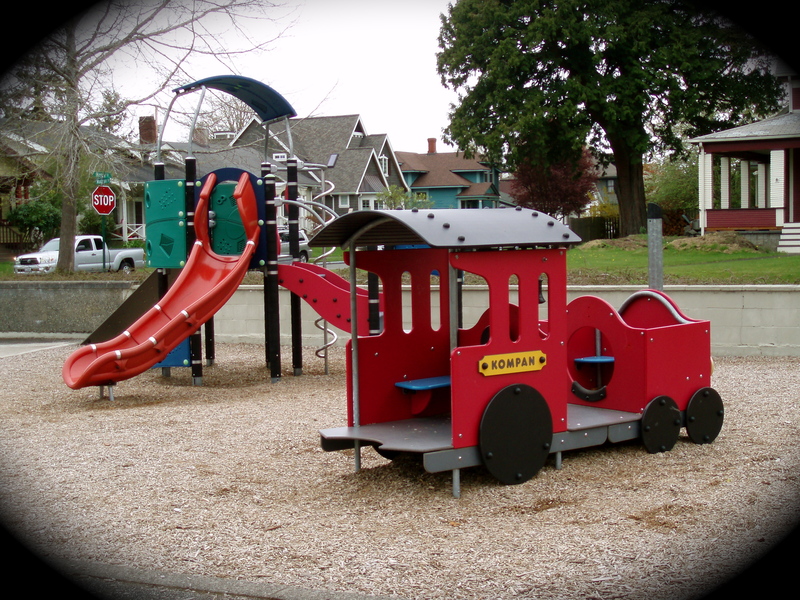 ), a few play structures and kiddie swings in a play area of wood shavings, the arrangement makes for a nice playground for those with small children. 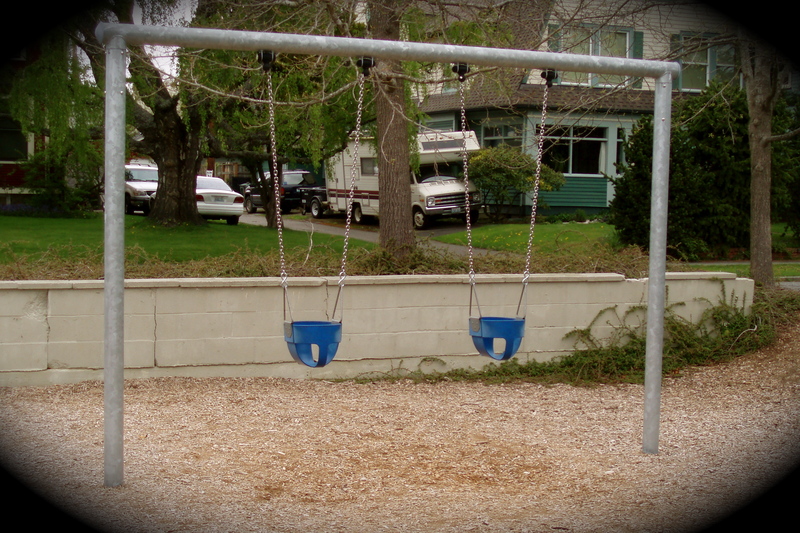 A well visited playground, the structures have been well used, then replaced and updated at least twice, if not three times, in my young life. 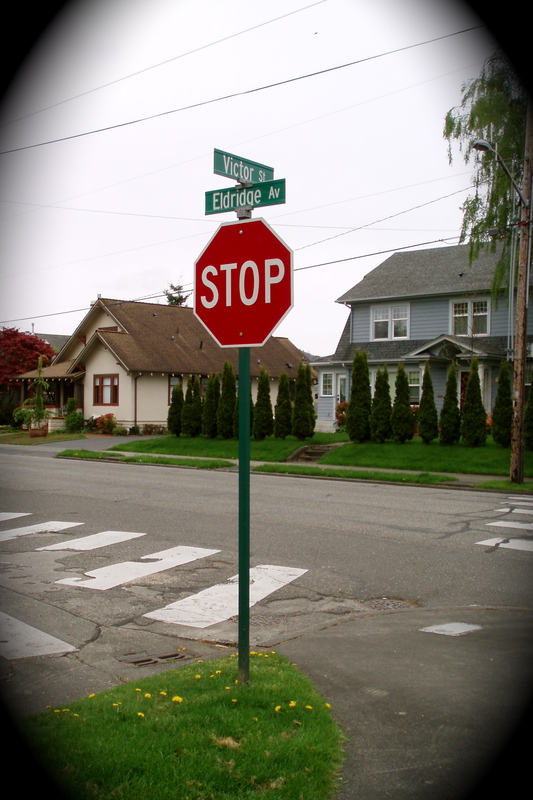 Sidewalks encircling the area and ensconced trees along the way make for lovely walks around summer or winter. 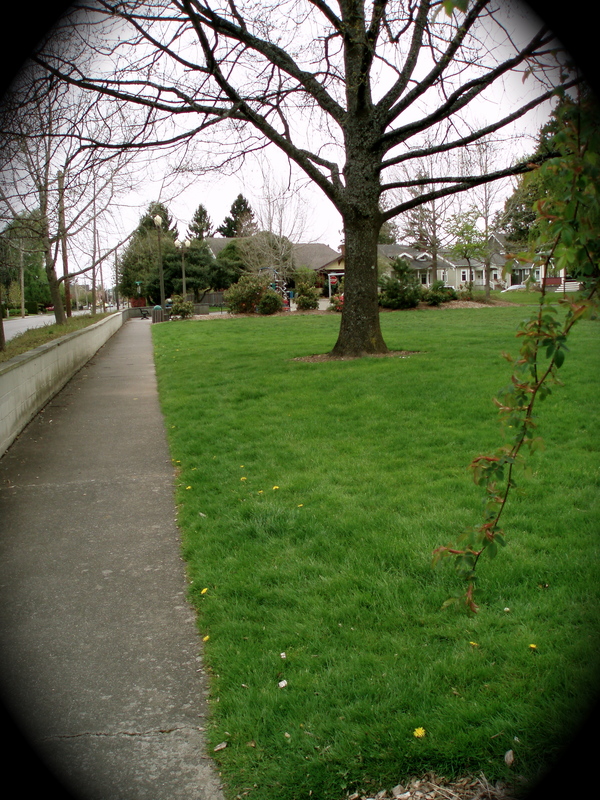 Positioned across Eldridge, only a bit of concrete, a few yards and tightly planted houses, separate the Park from the ridge overlooking the train tracks and the harbor. Seagulls fly and squawk overhead. Train sounds rise over the ridge and penetrate over and between the houses guarding the view. The salty Pacific aromas float effortlessly along the breeze mingling freely with the motor scents of boats and trains. While I have stopped at the Carl Lobe Park many times growing up, this visit I took the time to read the plaque residing below the Park’s sign. 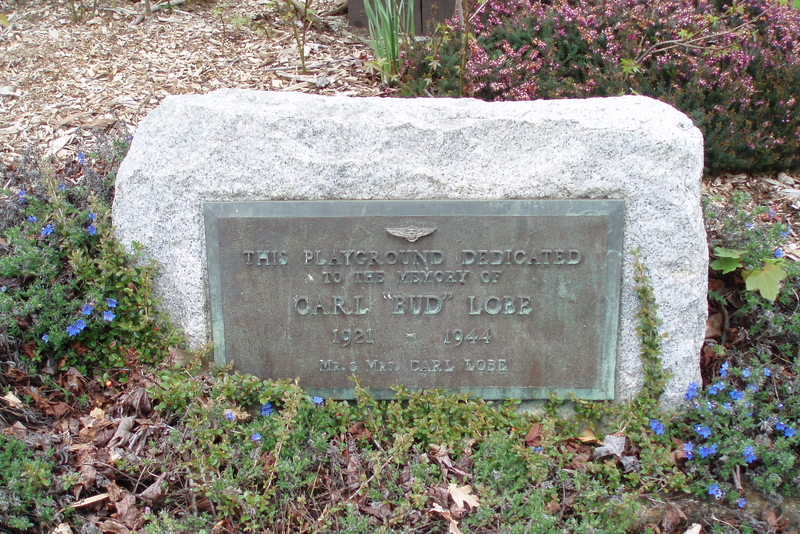 Apparently the playground was dedicated to the memory of Carl “Bud” Lobe, who died in 1944 as a young man of merely 23 years. While Carl Lobe Park is still a little neighborhood park, after I had read the dedication plaque and had done my own reminiscing, I realized this park is one where memories have been successfully made.